« 2010 Adult Summer Reading winner! 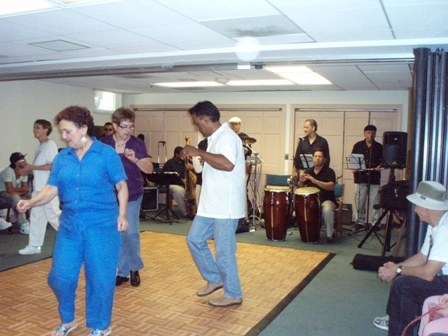 Food, dance and music were all celebrated at the Hispanic Heritage Month Fiesta held at the Stafford Branch on Saturday, September 18th. Dance instructor Daniel Asin was wonderful. He worked with a group of enthusiastic students, who stuck with it for an hour and a half! Local restaurant El Senor Frog (www.elsenorfrog.com ) provided a delicious sampling of Mexican food. Ray Rodriguez y Swing Sabroso ( www.swingsabroso.com ) performed a fantastic two hour concert.